To get the most out of your storage tank, it is important that you take good care and carry out regular checks and maintenance. Once you have invested in a Tuffa storage tank, you are going to want to make sure that you get the absolute most out of it – and in order to do so, carrying out regular checks and maintaining your tank are small but essentials parts of caring for your tank. 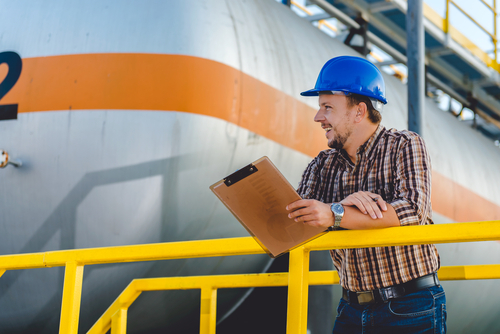 Regular inspections should be carried out by a qualified person that is receiving delivery of a product that will be stored in the tank before and during the filling process. If a competent person is not available, then checks should be carried out at the earliest convenience after filling. It is recommended that the filter on a storage tank is changed every six months. However, if there is a reduced flow rate, then this can also be a sign that the filter should be replaced. Reduced flow rate can be caused by a blockage or restriction in the system – in this instance, you should inspect the filter element. Storage tanks must be completely supported on a non-combustible base, which must extend at least 300mm around the footprint of the tank. This ensures that your storage tank is stable and will not cause a potential hazard which could result in an injury or the spreading of harmful chemicals. As well as safely securing your storage tank, taking the extra step of fencing off your tank and checking that any loose pipes are out of sight will also help to stave off damage and reduce the risk of accidents. If you would like more information on how to care for your storage tank, then please do not hesitate to contact our team on 01889 567700, or equally, check the FAQ section on our website.